Slicetruck: Clusi Batusi's review of Slicetruck ? 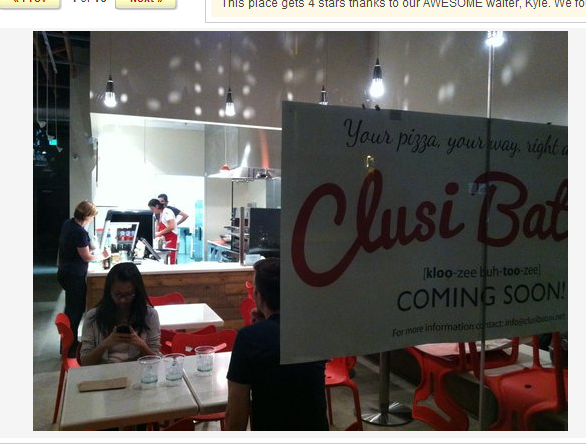 Clusi Batusi's review of Slicetruck ? This pizza place opened across the street and a block over from us on Sawtelle. It is what it is, L.A. is a big city no big deal. 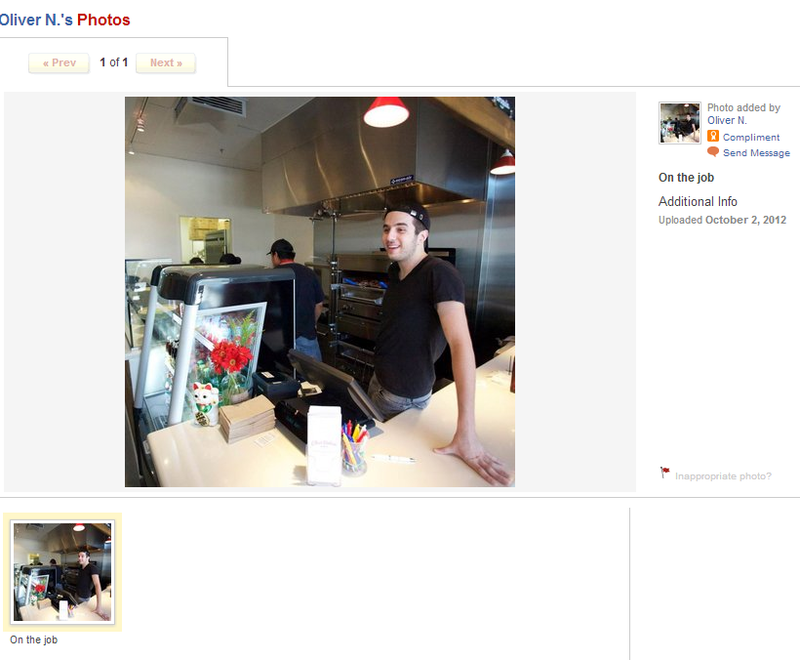 But then had some mixed feelings when I saw what they posted about us on Yelp. All feelings aside, in life, I do love this type of stuff, find it interesting and am curious what provoked it. Slicktruck: There is no need to worry; your pizza is the best! Clusi Batusi is nervous about their pizza because they serve chicken on it!!!! You can't attribute a review one person posts to an entire establishment. That's inappropriate. His review was inappropriate. Trust me, I'm Italian. I agree with you. And that's why I don't agree with the review. Well it looks like it was taken down anyways. 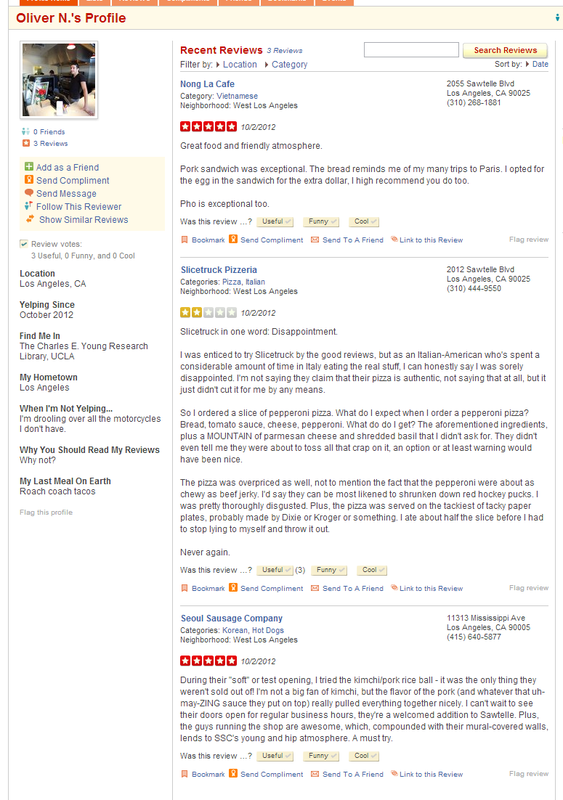 Even if the review was "inappropriate," the appropriate response would probably have been to ignore it, don't you think? You are probably right. It is interesting, though, to be aware of opposing points of view.